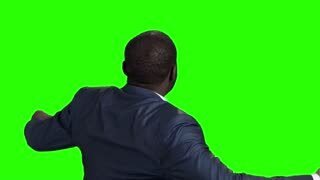 Afro american businessman with raised fists, back view. 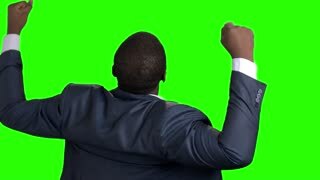 Rear view of successful businessman with clenched fists on chroma key background. Business triumph concept.